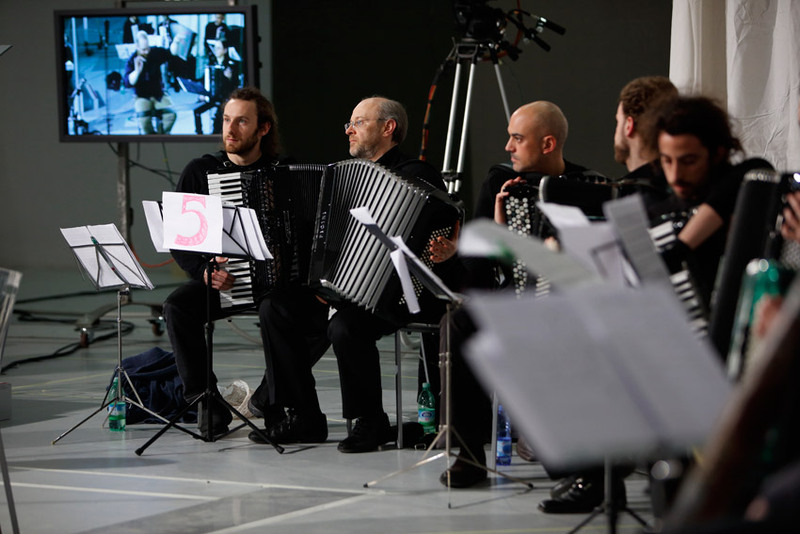 "Whispers and broken syllables, sounds and noises rise in concentric circles from a large ensemble of voices and accordions, able to recreate the breath of the sea, the language of the earth, the vortex of abyss. 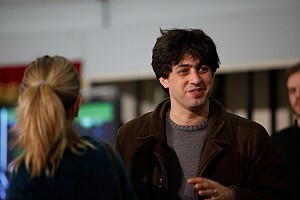 It is an archaic and charming music, Mise en abime, the new creation that Yuval Avital has composed. 33-year old Israeli composer, visionary talent that blends ancient ethnic sounds to multimedia and contemporary research ..."
"... An experience to tell your grandchildren one day. Or at least, today, to close friends. 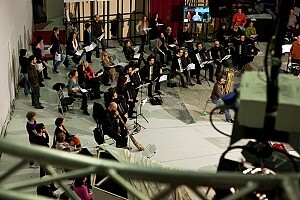 An event that had intrigued the RAI (national Italian broadcast network) employees who watched amazed a crowd of students, pensioners, unemployed and free professionals who whispered, whistled, howled and rarely sang a few notes, according to the indications of the choir directors and Yuval Avital …"
"I would like to express my gratefulness for the splendid experience I had thanks to you, participating in the choir of Mise en abime. ... 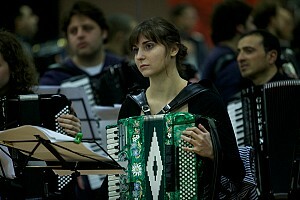 Above all I was fascinated to discover again the multiplicity of sounds and how it can be used. 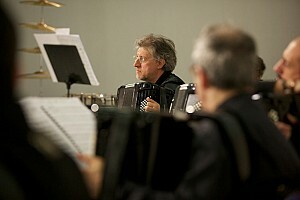 It is fantastic how music, in all its variations always unites, never separates." 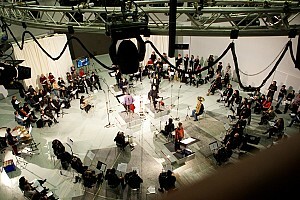 Mise en abîme (in French "representation in abyss") by Yuval Avital, is a milestone composition in Avital’s path, starting his “Massive Sonic Works” series - composition for very large ensembles performing in an immersive spacing (opposed to frontal concerts), but also his starting of “Crowd Music” works - composition and “user friendly notations” for Crowds of musicians and non-musicians alike. 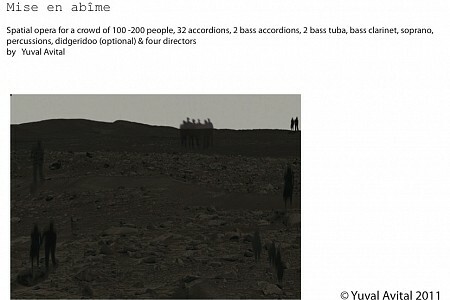 The work is written for a large sonic formation, composed of a crowd of 100-200 non-musicians vocalists, 32 accordions, 2 bass tuba, soprano, bass clarinet, percussions & didgeridoo, placed in circles around the audience and directed by 4 conductors (2 instrumental & 2 choral). Premiered during a three-day recording session at the national broadcast network of Italy, RAI, between 28/2 - 2/3/2011, Mise en Abîme is commissioned by Franco Parenti Theater, in collaboration with Magà Global Arts Around the World and the Ethnomusicology and Visual Anthropology Laboratory (LEAV) of the University of Milan. At the end of 2010, the Italian theater director Andree Ruth Shammah commissioned Avital to compose music for her latest work, based on a script describing the last days of life of Bettino Craxi, a foremost corrupt Italian politician who fled Italy to North Africa in the Nineties to escape prison and later died of cancer in exile. 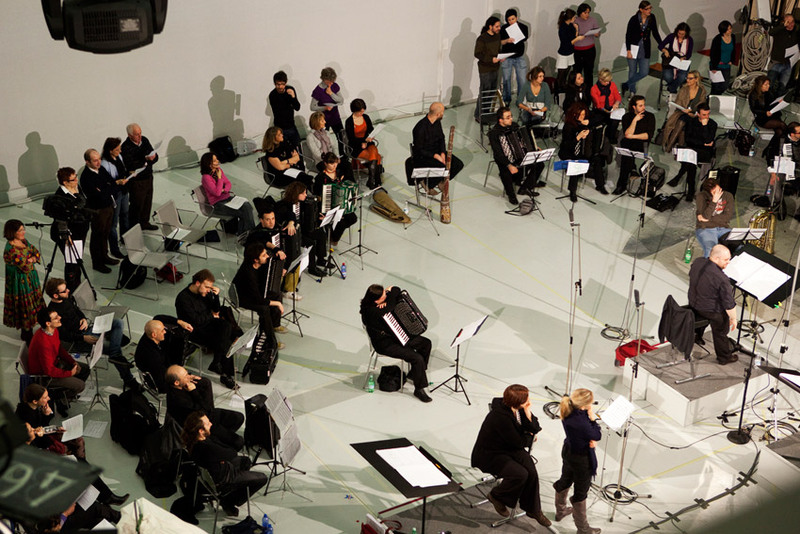 Avital decided to explore the themes of exile, borders, and distance in a parallel opera that embodies these themes in a kind of sonic Abyss. 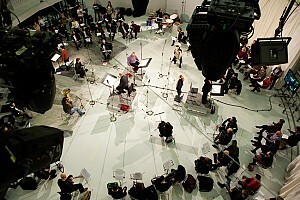 The work was recorded in the national broadcasting network of Italy, involving almost 150 performers, and the recordings were used as a continuous sonic ambient during the show. One of the main challenges in Mise en abîme was the search for a coherent graphical notation for people not familiar with the experience of music performance and with contemporary music, which would allow a creation of rich sonic material. Avital had created for the work "user friendly" graphics and alphabetic scores, which did not look threatening but almost seemed as an invitation to participate in a game. Different Smiley symbols that indicate variations of vocal productions, coloured contours indicating complex noemas. Most of the vocal part avoids the use of pitch, and where it exists it is a relative pitch. Similarly, rhythm also is aleatory and based on flexible events placed precisely in time. 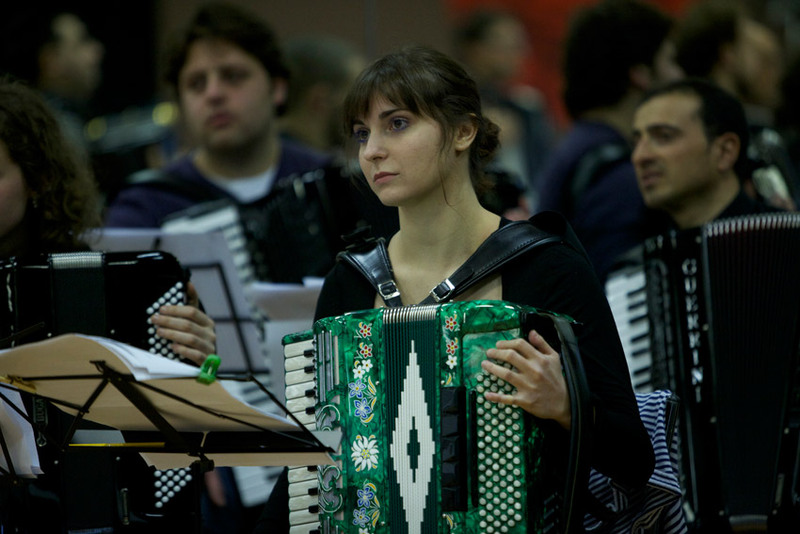 However the basic uses of pitch (extremely low - low - high - extremely high) and of rhythm (long, short, repetition, constant) are used constantly. 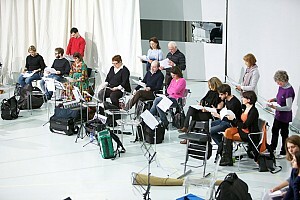 Another element in the vocal part is the use of material inspired by non-western oral traditions, such as Indonesian rhythm choirs, Samaritan chantings, mantras and others. Finally, an important vocal element in the score was the use of imitations of nature.